Peel Valley Party Hire is a well-known family run business which was established in 2001 and is situated in the New England regional town of Tamworth NSW. The business has been operating for 18 years, and covers the New England, North West and Hunter Regions. The Business has an enviable reputation for innovation, quality service and attention-to-detail on all events it plans. The business is currently very successful, and has an excellent and longstanding reputation in the market place, with huge scope for additional growth and profitably. All equipment is included in the sale. Plant available at valuation and the entire inventory list provided to genuinely interested parties. All procedures are in place with the vendors to help the new owner's transition effortlessly into their new venture. Advertising is wide spread and Included with this well branded business comes a striking web presence. If you're looking for a successful business that has systems in place and ready to walk into and continue operations- then this is it! It's an easy run business which has an outstanding benefit of having positive cash flow already in place. It is the perfect opportunity for someone looking to enter the event industry or to expand a current business. The New England area of NSW is a large, agricultural and mining area, and services the tourism area that occupies a large part of the north-west of the state. Tamworth is the largest city in the area and is the administrative, services and business center of the region. Tamworth is a vibrant city that continues to grow with ongoing building and developments; it's famous for its Country Music Festival, The Australian Equine and Livestock Centre, great restaurants, good schools, good medical and hospital facilities, sporting venues and lots more in the surrounding areas. The Business only comes on the market due to owners retiring. Catering business in Blaxland ($55,000 All inclusive Leasehold) - Catering And Café Business For Sale. Blue Mountains. 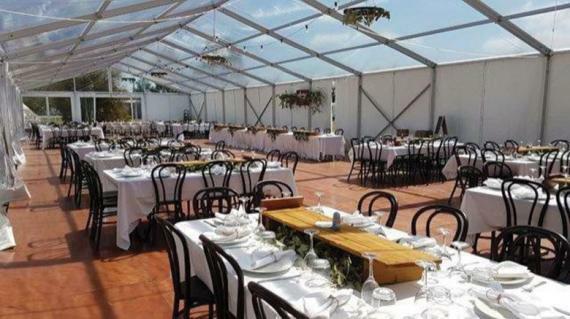 If you are looking to sell your Catering and Events or Event \/ Party Hire business for sale, or business for sale in New South Wales (NSW), Australian Business for Sale has variety of packages to choose from. Click here to read How to Sell A Business Online. Click to see shops in Australia.